This chapter analyzes the process and outcome of the third round of constitutional reform concerning the selection method for the Chief Executive of Hong Kong Special Administrative Region. 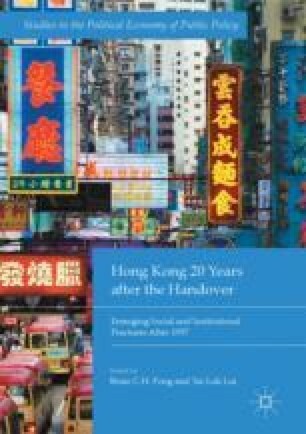 The author argues that the risk-free approach adopted by the Central Government in Beijing and the radicalization of the opposition alliance in Hong Kong contributed to the impasse over constitutional reform. The failed political negotiation best illustrates two major challenges to Hong Kong’s democratization: the Central Government’s perception of and reaction to political risks and the fragmentation of oppositions in Hong Kong as conditioned by the local electoral system. As such, the prospect of constitutional reform in the future will very much depend on changing conditions underlying these two challenges. Occupy Central with Peace and Love, http://oclp.hk. Alliance for True Democracy, http://www.atd.hk. Liaison Office of the Central People’s Government in Hong Kong, http://www.locpg.hk. Hong Kong Students Union Facebook, https://www.facebook.com/hkusupage.